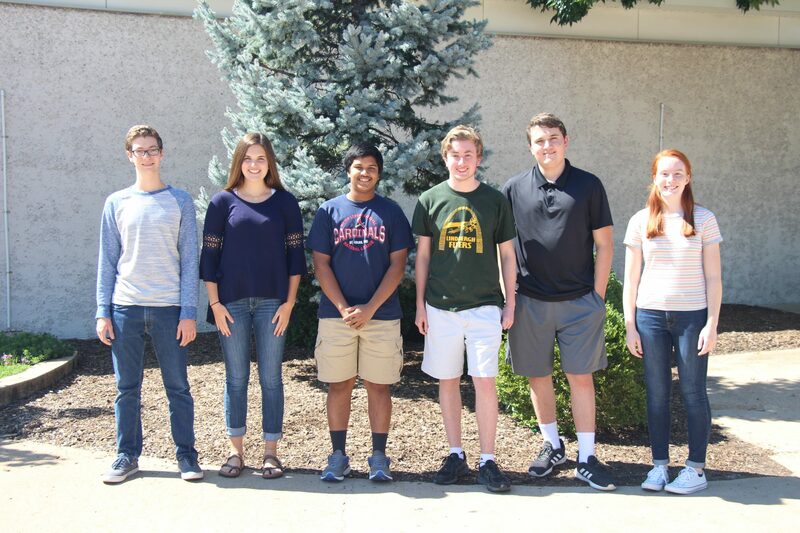 The National Merit Scholarship Corporation named six Lindbergh High students semifinalists in the National Merit Scholarship Program last week. Approximately 16,000 students earned the honor nationwide. National Merit Semifinalists are high-school seniors who show exceptional academic ability and potential for success in rigorous college studies. Lindbergh’s honorees include, left to right above, Matthew Meyer, Anne Watson, Achintya Benegal, Alexander Christian, Gabriel Martinez and Brenna Bartholomew. These students were among 1.6 million juniors in more than 22,000 high schools who entered the 2019 National Merit Scholarship Program by taking the 2017 Preliminary SAT/National Merit Scholarship Qualifying Test. The nationwide pool of semifinalists represents fewer than 1 percent of U.S. high school seniors and includes the highest scoring individuals in each state. Each year, the National Merit Scholarship Corporation partners with business organizations and higher education institutions to award 7,500 National Merit Scholarships worth more than $32 million. The goal of the program is to honor the nation’s scholastic champions and encourage the pursuit of academic excellence. Take our poll: Should Brett Kavanaugh be confirmed as a U.S. Supreme Court justice?